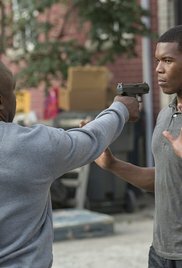 The murder of Bryan Mill's sister sets him on a course for revenge against cartel boss Carlos Mejia; a secret U.S. intelligence agency recruits Bryan to become a part of its team. Bryan gets his first chance in the field, but it results in a tragic death when the mission goes bust. Christina (Jennifer Beals) orders the retrieval of sensitive documents in Zurich needed to prevent economic and political disaster. But the mission to break into a bank vault turns into a three-way battle, and a race to escape safely. 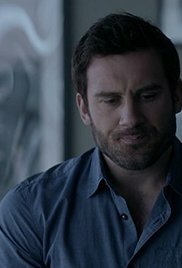 Meanwhile, Asha's (Brooklyn Sudano) trust in Elena (Layla Alizada) proves to be misplaced and leaves Bryan (Clive Standen) vulnerable. 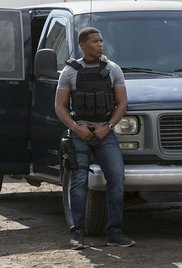 Also starring Gaius Charles (John), Monique Gabriela Curnen (Becca Vlasik), Michael Irby (Scott), Jose Pablo Cantillo (Dave), James Landry HÃ©bert (Rem), Simu Liu (Faaron) and Jennifer Marsala (Riley). The ODNI is asked to facilitate the defection of a Russian FSB agent, but the agent's pregnant girlfriend throws a curve in the team's plans. Meanwhile, Christina (Jennifer Beals) goes off the books to reveal a mole in the CIA, and John's (Gaius Charles) attempt to resolve his brother's problem with a local gang results in a spiritual crisis. 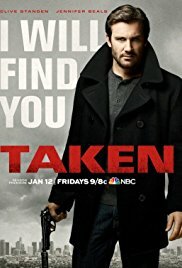 Also starring Clive Standen (Bryan Mills), Brooklyn Sudano (Asha Flynn), Monique Gabriela Curnen (Becca Vlasik), Michael Irby (Scott), Jose Pablo Cantillo (Dave), James Landry HÃ©bert (Rem), Simu Liu (Faaron) and Jennifer Marsala (Riley). Guest starring John Bourgeois (Cy Backer), Matthew Bennett (Gary Martello), Lanette Ware (Secretary Teresa Redcliff), Saad Siddiqui (Tracy Dyer), Lev Gordon (Yuri Surnuyev), Anastasia Marinina (Tatjana Kuznikov), Jeremy Davidson (Brant Pope), Jessica Harmon (Gretchen Lareau) and Ryan Allen (Pastor George). 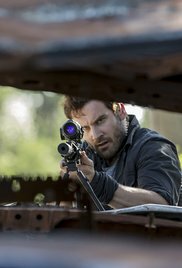 During the team's efforts to thwart a Mejia weapons operation, Bryan (Clive Standen) is taken. As he relies on his ODNI training to survive, the team attempts a daring rescue. Meanwhile, Bryan and Asha (Brooklyn Sudano) take their relationship to the next level. Also starring Jennifer Beals (Christina Hart), Gaius Charles (John), Monique Gabriela Curnen (Becca), Michael Irby (Scott), Jose Pablo Cantillo (Dave), James Landry HÃ©bert (Rem), Simu Liu (Faaron) and Jennifer Marsala (Riley). Guest starring Romano Ozari (Carlos Mejia), Matthew Bennett (Gary Martello), Robin Kasyanov (Tomas Vitek), Erik Mrakovcic (Dov), Voytek Skrzeta (Goran), Jordan Lage (Mahler) and Bill Lake (Jimmy Dunne). 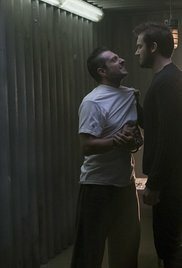 The ODNI is forced to deliver Mejia (guest star Romano Ozari) to the FBI but catch wind of the cartel's plans to hijack the transfer. 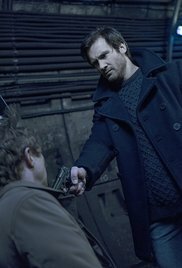 As John (Gaius Charles) and Rem (James Landry HÃ©bert) work to stall the handover, Bryan (Clive Standen) takes extreme measures to keep Mejia in his custody. 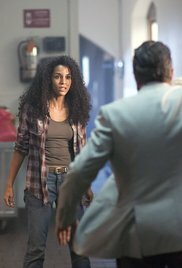 Meanwhile, Asha (Brooklyn Sudano) learns the true identity of her friend Elena (guest star Layla Alizada). Also starring Jennifer Beals (Christina Hart), Monique Gabriela Curnen (Becca Vlasik), Michael Irby (Scott), Jose Pablo Cantillo (Dave), Simu Liu (Faaron) and Jennifer Marsala (Riley). Also guest starring Matthew Bennett (Gary Martello), Ivan Wanis Ruiz (Juan Pablo), Michael Kinney (George Salt) and Amanda Warren (Marie Salt). 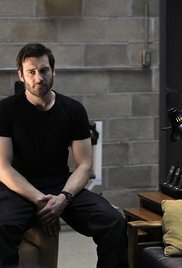 As the FBI threatens to remove Christina (Jennifer Beals) from command, Bryan (Clive Standen) and John (Gaius Charles) lead a rogue mission to stop Mejia's associates before they cross the border. With no allies to assist them, the ODNI risks losing their jobs, their lives, and those closest to them. Also starring Brooklyn Sudano, (Asha), Monique Gabriela Curnen (Becca Vlasik), Michael Irby (Scott), Jose Pablo Cantillo (Dave), James Landry Hebert (Rem), Simu Liu (Faaron) and Jennifer Marsala (Riley). Guest starring Romano Ozari (Carlos Mejia), Matthew Bennett (Gary Martello), Layla Alizada (Elena) and Amanda Warren (Marie Salt).